Just some questions, a little short of money, but high in curiosity. The Aristotle board, does it work? The unknown keyboards, do they work? Do they come as a bundle for a total of 50 eur? The Swedx case, does it fit that board with the yellow colored Alps mount switches? The AMJ60, does it work? 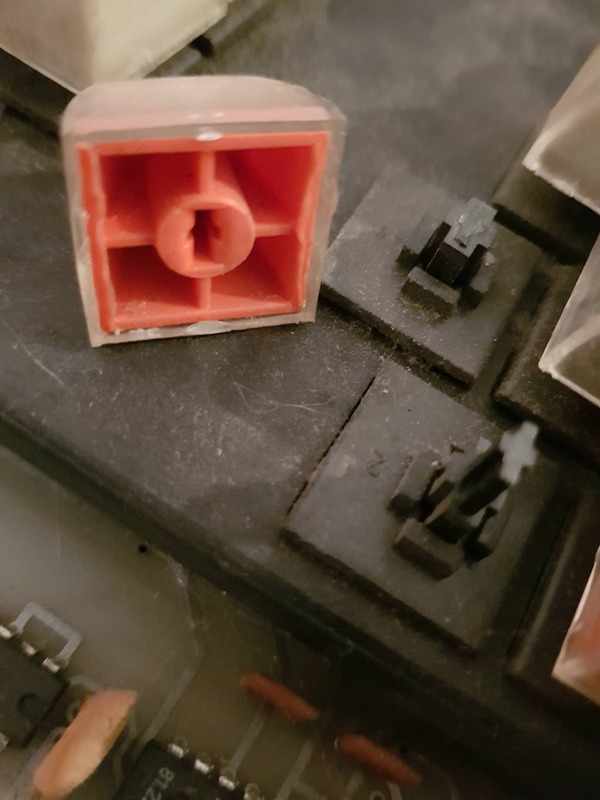 Also, on those keyboards that I asked where they worked, what connector? Commodore board sold (invoice sent). keyboards 1 and 14 sold. everything else available. Rollermouse Red Plus sold. Have another one available with no box or accessories and slight usage marks. Added Minix X8-H android box and dropped some prices. Interested in the Wang 725-3770 with Salmon Alps! 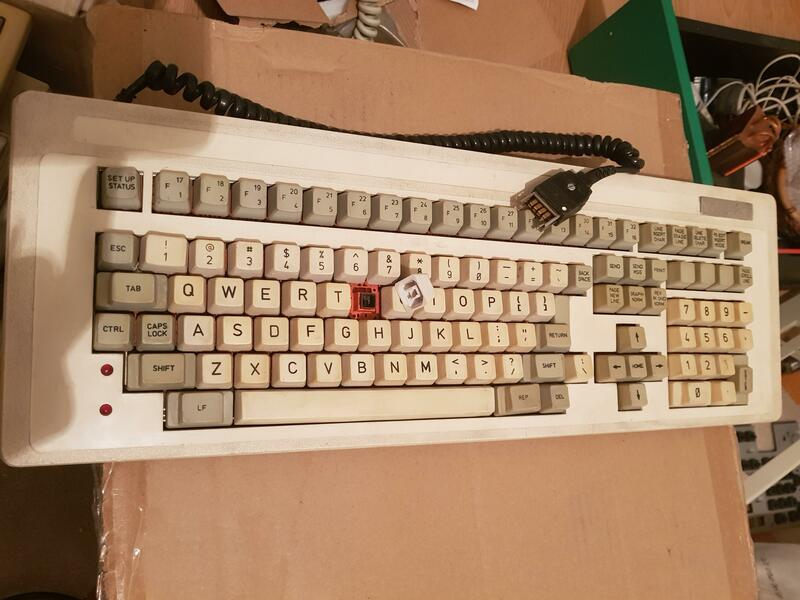 What is the condition of the keyboard? Sorry, but unfortunately it's sold already. 30% off on orders over 150 eur (meaning you'll only pay 100 eur). 50% off on all orders over 200 eur. Valid until Monday morning. keyboards 9 / 17 / 19 sold. everything else still up for sale. This appears to be Stackpole, in very strange colours. A single switch in normal Stackpole black and yellow was found in the [wiki]Lear Siegler ADM 11[/wiki] (a confirmed Stackpole keyboard), but here it seems to have been used to construct a whole keyboard. Then again, the colours might indicate that someone in the Soviet Bloc cloned Stackpole, for great justice. I saw this keyboard at the time, but I guess I had forgotten about that Stackpole discrete design. Not sure what to call it … "Stackpole Missing Puzzle Piece" isn't quite there, nor is "Stackpole Jigsaw Killer". more stuff sold, more price drops. Can I have the caps from 4. Unknown board? Which mount is this? M8? sure, yeah, I think it's M8. I'll pull a cap and take some extra pics. 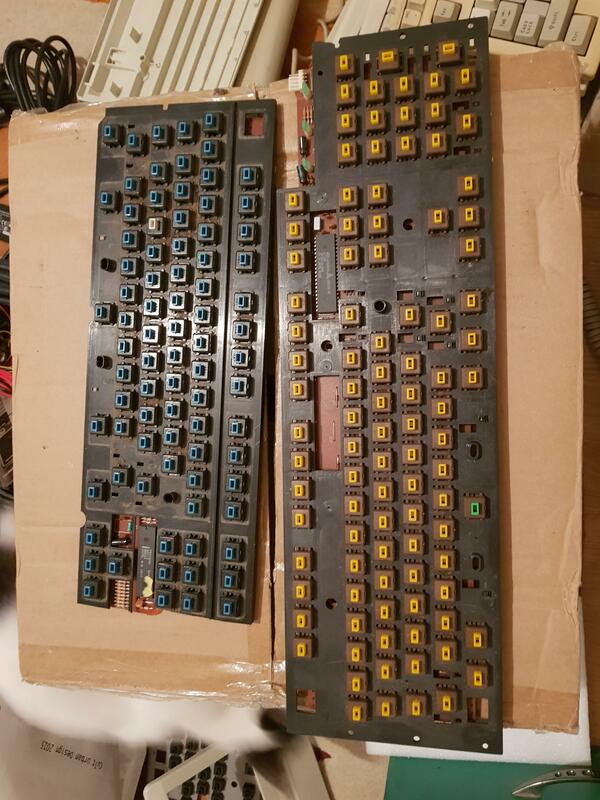 are #17 Alps or clones? What kind of connector does the Bunker Ramo have? Nah, the sliders aren’t the right # shape. They look like KPTs. Never seen a green one before, though. Chyros is right. They're KPT. Like a rectangular slider version of this? Are they clicky, tactile or linear? And that green one on spacebar: just heavier or what? Clicky and yes, the green one is heavier.